Click on Calendar, type the year "YYYY" and pick the month & date. University of Pennsylvania School of Dental Medicine. Please note that it is important to fill in all the fields before submitting. Thank you. Do you snore? Do you often wake up in the morning with a headache? * To the best of my knowledge, the questions on this form have been accurately answered. I understand that providing incorrect information can be dangerous to my (or patient’s) health. It is my responsibility to inform the dental office of any changes in medical status. * Our practice continually looks for advances to ensure that we are providing the optimum level of oral health care to our patients. We are concerned about oral cancer and look for it in every patient. This screening may save your life. * One American dies every hour form oral cancer. Late detection of oral cancer is the primary cause that both the incidence and mortality rates of oral cancer continue to increase. Tobacco and alcohol use are the major predisposing risk factors but more than 25% of oral cancer victims have no such lifestyle risk factors. * We have recently incorporated VELSCOPE into our oral screening standard of care. We find that using VELSCOPE along with a standard oral cancer examination improves the ability to identify suspicious areas at their earliest stages. VELSCOPE is similar to proven early detection procedures for other cancers such as mammography, Pap smear, and PSA. VELSCOPE is a simple and painless examination that gives the best chance to find any oral abnormalities at the earliest possible stage. Please Handle Me with Care. Put a check mark in the box next to the statement that concerns you or describes your problem. Then share this information with your dental team. I feel out of control when I’m lying down in the dental chair. I have not been to the dentist for a long time, and I feel uncomfortable about what you will say about my teeth and dental hygiene. Pain relief is a top priority for me. I don’t like shots (or I’ve had a bad reaction to shots). Please tell me what I need to know about my mouth in order to make an informed decision. My teeth are very sensitive. I don’t like the sound of that too that makes the picking and scraping noise. It’s like someone is scratching fingernails on a black board. I don’t like cotton in my mouth. I hate the noise of the drill. Please respect my time. I don’t want to be left sitting in the reception area. I want to know the cost up front. No money surprises please. I have difficulty listening and remembering what I hear while sitting in the dental chair. I have health problems and questions that we need to discuss. * This statement is to inform you of our financial policy. We are committed to provide you with the highest quality dental care using only the best material and technology available in the market today. We are also committed to providing you with up-to-date information and educational tools so that you may fully participate in maintaining optimum oral health. Our financial policy is intended to facilitate excellent service to you while minimizing our administrative costs. * All charges you incur are your responsibility regardless of your insurance coverage. We must emphasize that as your dental care provider, our relationship is with you, our patient, not with your insurance company. Your insurance policy is a contract between you, your employer, and the insurance company. Our office is not a party to that contract. * Payment is due at the time service is provided. Our office accepts cash, personal checks, MasterCard, Visa, American Express and Discover. Outside financing is available upon request and approval. * Returned checks and balances older than 60 days may be subject to collection fees. Additionally, our office will charge you for broken appointments and appointments cancelled without 48hours advance notice. * As a courtesy to you we will help you process all your insurance claims. You may direct your insurance company to pay your benefits directly to our office by signing below. In order for our office to file your insurance claim you must bring proof of insurance at each appointment. * We require a credit card number on file to process any balance remaining after your insurance company has paid. Estimated copayments are due at the time of service. 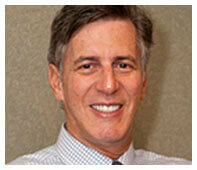 Levenson Smile Located at 9 Linden St, Worcester, 01609, MA . 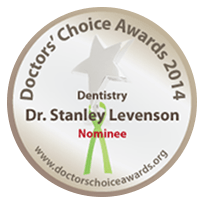 Phone: 855.849.8255. www.levensonsmile.com. © Copyright 2019 Levenson Smile. All rights reserved.